Awesome and affordable way to help my business grow with your custom made and eco-friendly products including this eco-friendly brown paper bag giveaway bag. The logo you guys customized for us came out wonderful on our bags. Thanks. 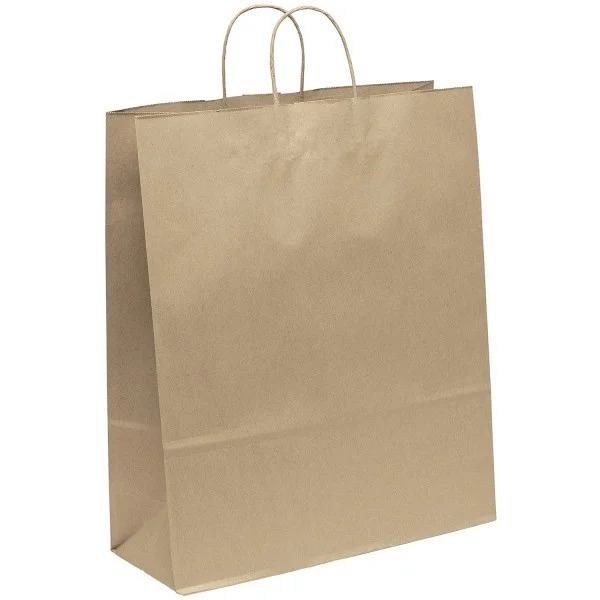 My wife and I have decided to invest in these unique brown bags for our small business. Thanks for being the best eco-friendly site out there. Invested in these bags for my upcoming trade show. Very affordable and a great way to promote my business. Thanks again. Really excited in invested in these bag to help promote my business. Really got these bags for a great bargain price. Custom-made bags that are 100% made out of recycled goods. Event planning can be a tedious task. Custom Earth Promos made my life very easy when it came to placing my order and filling it in a timely manner. I will be sure to contact them again. Awesome bag! Love how eco-friendly it is! Thank you CEP! Very simple and Clean looking love how our logo came out! Got these for the market very popular. Working with Custom Earth Promos was seamless. Great job guys. Thank you Danielle for your great customer service. You helped with our order immensely. The Eco friendly bags I designed through Custom Earth Promos were amazing. The recycled bags I ordered from custom earth for my venue, where a huge hit. Thank you very much. I'll be placing another order soon. I loved the process of designing my bags with CEP. Loved our customized paper bags. The quality was great and the customer service was even better. Thank you so much CEP. Dealing with Custom Earth Promos has been a great experience. My order was delivered in a timely fashion. Thanks. The recycled bags we customized for our fundraiser were a huge hit. Great working with you guys. I needed recycled bags in bulk and delivered fast. Custom Earth Promos lived up to their billing and got the job done. Going green is the only way to go. I love what this company has to offer. I customized my bags with great ease. The product quality was great and I will be sure to do business with this thorough company again. Great deal. I loved the quality of designed logo. It really looks better than I could have expected. Ive designed bags in the past with several other companies, my experience has never been great. The quality is always lacking, or the product won't arrive on time. I can say that this company has gone above and beyond. The quality was amazing and I actually received my order early. Pleasure to do business. So many options on this site when it comes to customizing brown paper bags. Who would of thought? I am an event planner for large festivals held around the country. My first time working with this company was a great experience, the provided me with great service. I will be sure to use them again. We ordered a bulk order, thankfully it was processed and delivered on time. Thanks girls and guys. Great products. Such a wide variety to chose from too. "I customized my bags with great ease. The product quality was great and I will be sure to do business with this thorough company again. Great deal." –Anthony H.
"I loved the quality of designed logo. It really looks better than I could have expected." –Rebecca R.
"I've designed bags in the past with several other companies, my experience has never been great. The quality is always lacking, or the product won't arrive on time. I can say that this company has gone above and beyond. The quality was amazing and I actually received my order early. Pleasure to do business." –Eric M.
These are just a sample of the reviews Custom Earth Promos has received from verified customers in the past 90 days after placing an order for Recycled Brown Paper Bags. Whether it was an in-house inventory item for daily operation, an advertising tool to promote a company announcement, new location or particular promotional giveaway, these eco-friendly bags have yet to disappoint and serve a vast variety of functions. Custom Earth Promos' eco bags combine the true markings of multi-purpose utility with all the subtle courtesy of minimalistic design. The pronounced imprint area on these custom recycled bags guarantees repeated exposure for your brand, in addition to expanding brand visibility and growing your customer base. Your business will reach such great heights with the many benefits of this promising promotional side-kick. Environment and product safety are at the top of our priority list while creating customized promotional products. 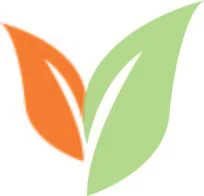 With a manufacturing process custom tailored to confirm compliance with California proposition 65 guidelines, all products undergo additional stringent testing to ensure undetectable traces of any harmful chemicals. When you place an order with Custom Earth Promos, rest assured that you will be promoting your brand through a product that not only preserves Earth, but that is also guaranteed to be safe for your customers. With high elasticity and tensile strength, Recycled Brown Paper Bags are capable of handling a multitude of daily tasks. The serrated top edge and twisted embellishment handles add a rustic touch of bohemian simplicity. The bold imprint area of 10"W x 10"H is guaranteed to capture attention everywhere these custom reusable shopping bags are carried, whether it be by your customers, in conjunction with a marketing campaign or as a promotional giveaway. Using eco bags to fuel a business, charity or cause is an ideal and cost-effective strategy to meet and exceed your advertising goals, invest in your brand image and build a united culture of employees, volunteers or activists. Our wholesale custom bags are manufactured with recycled material, which is a valid step toward conserving the planet. After use, the bags can also be recycled, taking another step toward the same. This seemingly small but greatly effective act to protect and preserve the environment will work wonders for your brand name as your audience takes notice of the responsible initiative and is quickly motivated to join your eco-friendly crusade with enhanced loyalty. Our custom recycled bags conform to applicable federal laws that emphasize the importance of product safety. With 100% reusable and recyclable material construction, Custom Earth Promos' Recycled Brown Paper Bags gives your businesses the confidence and pride of promoting their brand while conserving the environment. The positive bearings this will have on your brand image and the self-esteem of all employees and customers who join in this mission simply by carrying a bag are exponential! Choose to order direct overseas and unlock the freedom to fully customize your order of custom shopping bags. We can add incredible vibrancy to your eco-friendly statement by using plant-based dye to create a brand-specific color (or varying colors) for your custom shopping bags order. We can also add boldly colored handle accents and increase the imprint area. Contact us today and work one on one with our in-house design team to explore all the potential and pliancy available to you with these top choice promotional eco-friendly shopping bags.